Dr. Rania Abd El Baki MSc , MBBCh , M.D. Endocrinologist: An endocrinologist is a general practitioner who methodically examines hormonal conditions in depth and applies the best possible treatment, they treat people who suffer from hormonal imbalance. 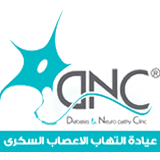 The overall objective of the treatment is to restore the normal stability of hormones in a patient's body. Some of the more common conditions treated by endocrinologists include endocrinology consultation, diabetes consultation, adrenal problems, thyroid diseases, cancer of the endocrine glands, over or under-production of hormones and cholesterol disorders. Here at Doctoruna, you can easily find qualified Endocrinologist in Cairo.